goal: keep box in screen by dropping circles on it. 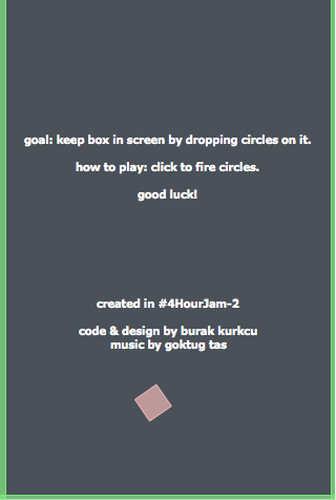 how to play: click to fire circles. I loved the idea. Though, we should had been able to make directional circles, like moving downwards.